The protocol layer packages data and reliably transfers it between the factory host and the equipment GEM interface. The protocol layer implements the transport technology and data packing algorithms used to send messages across a wire between a factory host and an equipment GEM interface. The SEMI E5 standard, SEMI Equipment Communications Standard 2 Message Content (SECS-II), defines SECS messages that are used as the data and defines how they are packed into binary buffers for transport. The SEMI E37 and E37.1 standards, High-Speed SECS Message Services (HSMS), define a protocol for exchanging SECS messages over a TCP/IP connection. This is the most used transport technology in SECS/GEM. The SEMI E4 standard, SEMI Equipment Communications Standard 1 Message transfer (SECS-I), defines a mechanism for exchanging SECS messages over RS-232. This is normally used for older equipment or for some hardware inside an equipment such as an EFEM controller. The rest of the document will focus on SECS messages over HSMS. The protocol layer in GEM maintains the connection and detects a loss of connection so either party may take appropriate action such as activating Spooling. The protocol layer defines handshaking mechanisms to ensure delivery of messages if desired. 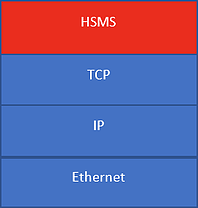 The protocol layer connection is point-to-point between the factory host and equipment. It is a dedicated connection with no broadcast capabilities. This makes it easier to predict network loading. SECS/GEM transmits data with little overhead and high density. This means less network bandwidth usage for a given data set. 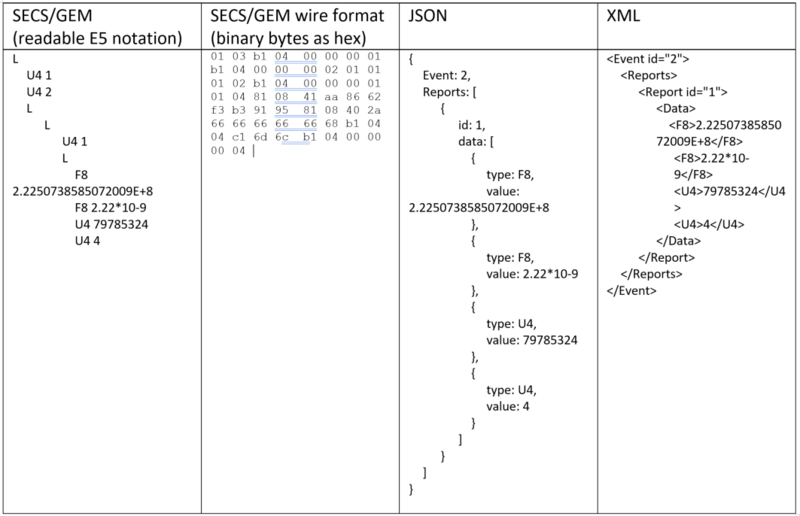 For illustrative purposes, let us look at a typical example of an event report and compare SECS/GEM messaging to a somewhat equivalent XML and JSON message. Take a typical GEM interface that uses unsigned 4-byte integers for IDs and an event report containing 8-byte floating point numbers and 4-byte integers. An example of this message is shown in the table below in a SECS/GEM format per E5 and in equivalent JSON and XML formats. The binary SECS/GEM message will take 58 bytes over the wire, the JSON around 206 bytes and XML 175. The JSON and XML numbers can change a bit based on key/element names and the above is just one of many possible representations. 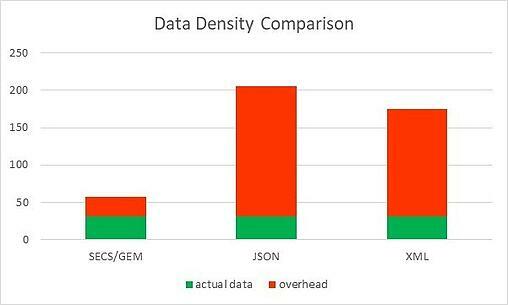 A chart showing the data density comparison for the example message is shown below. The Actual Data size is 2 4-byte integers + 2 8-byte floating point numbers + 1 4-byte event id + 1 4-byte report id = 32 bytes of actual data. The overhead is calculated by subtracting the actual data size from the total number of bytes for the message. 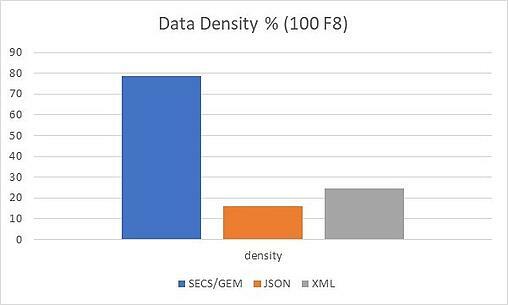 For the example message the data density for SECS the data density percentages are shown in the graph below. Data density percentage is calculated by the (actual data) / overhead *100. Now if we change the example message to have 100 8-byte floating point numbers in it, the Data Density % graph changes to the chart below. 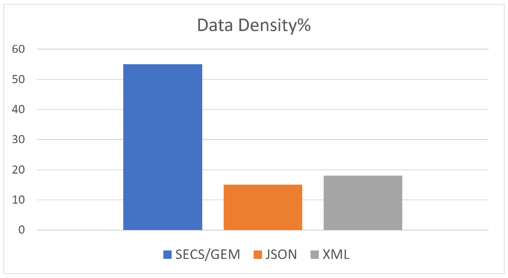 Notice the JSON and XML are relatively the same, but the SECS/GEM data density increases to 78%. SECS/GEM encoding has very little overhead. The overhead for a message is 10 bytes for a header describing the message, plus 1 to 4 bytes for the size of the message body. For any 4-byte integer or floating-point number in a SECS message, 6 bytes will be sent across the wire, 4 bytes for the integer value + 1 for the type + 1 for the length in bytes of the data. Likewise, for any 8-byte integer or floating-point number, 10 bytes will be sent. For a string value, the length will be the number of characters plus 2 to 4 bytes. Any time a List (L in the readable example above) appears in a SECS message, 2 to 4 bytes will be added to the message. Arrays of numbers are brutally efficient in SECS/GEM. The overhead for an array is 1 byte for the type plus 1 to 4 bytes for the length of the array, plus the data in its native size. For example: an array of 10 4-byte integers would take 42 bytes, that is a data density of 95%! In the JSON example, a 4-byte integer requires 16 bytes + the number of characters needed to represent the integer, so 17 to 28 bytes. Floating point numbers are the same overhead, but probably requiring more characters to represent the value. In XML, the overhead is based on the sizes of the XML element names. Using the element names in the example above, for any 4 -byte integer the number of bytes across the wire will be 9 + number of characters needed to represent the integer, so 10 to 21 bytes. Floating point numbers are at the mercy of the string formatting used to represent the values. In summary, looking at the per-item byte size across the wire, SECS/GEM is very dense. Take the 4-byte integer example where SECS/GEM is 6 bytes across the wire, the JSON example is 17 to 28 and the XML example is 10 to 21 bytes and you see as you scale the number of parameters the overhead really matters. 300mm Semiconductor equipment are expected to transfer 1000 parameters per second per process module to the host. 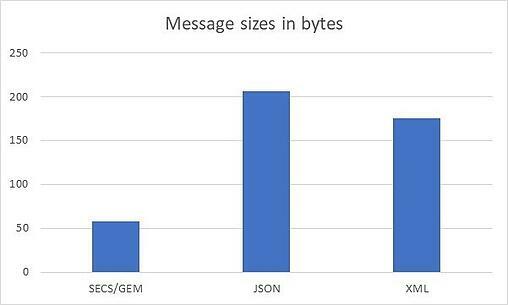 For a 2-module equipment, this results in the following number of bytes just for the data: 12K bytes/ over SECS/GEM, 34K-56K for JSON, and 20K-42K for the XML example. These numbers do not account for size of the rest of the message, just the actual parts related to parameter values. If that data is transferred in lots of messages with few values per message, then the network load is even worse. Fewer, larger messages are always better in all cases. XML and JSON may also add to the overhead depending on the transmission protocol used. For example, XML is often transmitted over HTTP using SOAP, this adds two additional layers of overhead and more bytes going across the wire for each message.The numbers of bytes shown for SECS/GEM are what is transmitted across the wire on top of TCP/IP. Numeric data is transmitted with no translation in SECS/GEM. Numbers are transmitted in their native format. For example: an 8-byte floating point number is transmitted in its 8-byte representation without any conversion, truncation, or rounding. Any protocol such as JSON or XML must convert those 8-byte floating point numbers into a text representation. This takes computing resources for the encoding and decoding and significantly more bytes across the wire. IEEE754 requires 17 decimal digits to accurately represent an 8-byte floating point number as a string. Adding in characters for sign, decimal point, exponent and exponent sign leads to 21 characters. That is over twice what SECS/GEM sends across the wire. HSMS defines a circuit assurance mechanism called Link Test. The protocol layer has a timer that is started if there are no active message exchanges. Every time the timer expires, a protocol message is exchanged to ensure the connection is still open. HSMS defines no security. There is no validation of the connecting party, no credentials or certificate is required to connect. The data is not encrypted by any normal encryption algorithms; however, data is obfuscated through the data packaging process and is not generally human readable. Security is not normally seen as an issue since factory networks are isolated from the outside world. The SECS/GEM Protocol Layer using HSMS provides a very efficient means of exchanging accurate data between the factory host and equipment. Even the most robust computer networks experience communication failure. Regardless of the cause, a small outage could be responsible for a significant amount of mission critical data loss. 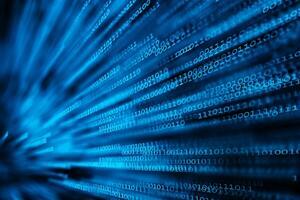 GEM mediates this loss of data by providing the message spooling capability. “Spooling is a capability whereby the equipment can queue messages intended for the host during times of communication failure and subsequently deliver these messages when communication is restored" SEMI E30-0717 7.12. Automated factories are data-driven. Data is extracted and analyzed to make decisions that influence how engineering and management teams react to ensure product yield is high and scrap is low. Gaps in this data could lead to erroneous judgement or even guessing. Spooling is a backup system that ensures this data will be preserved and restored reducing the risk of losing valuable data. Spooling is not a GEM requirement however, if this additional capability is implemented it must be done so properly. Here are a few requirements for implementing a compliant spooling interface. The equipment must provide the host with the ability to enable and disable spooling via the equipment constant “EnableSpooling”. This EC is published by the equipment and the host can select the desired state. When Spooling is implemented, it must be functional for all relevant primary messages and accessible using an S2, F43/F44 transaction. This excludes stream 1 messages which must be rejected if they attempt to “set spool”. The equipment is responsible for allocating enough non-volatile-storage to store all messages that have been spooled for at least one processing cycle of the equipment. The NVS will also house all spooling-related status variables. NVS is used for this data so that if a power outage occurs the data is persisted. All messages that were spooled prior to the equipment’s power loss will be available since they are persisted in non-volatile storage. All spooling context is restored from NVS if spooling was active at the time of the power loss occurred. This includes the spooled data as well as all spooling related status variables persisted in NVS. 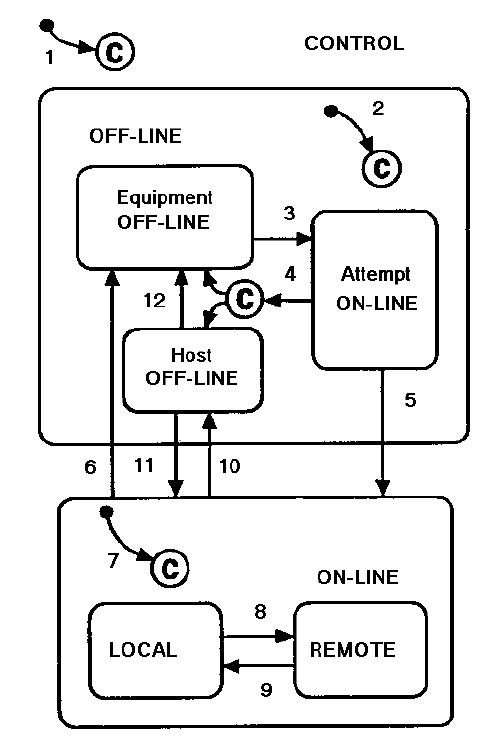 Message spooling requires hosts to participate to successfully recover after a loss of communication. It is Ideal to leave spooling in the disabled state until the host has been programmed to properly handle all conditions that may occur in the entirety of this state machine. Disabled spooling is better than improperly managed spooling. Once communication is re-established, the host must manage requesting the spooled messages. The host also has the option of purging the files from the equipment when necessary. Though spooling is not a fundamental GEM requirement, if implemented it must be done so properly. Both host and equipment software have a responsibility to ensure GEM compliance when spooling is enabled. GEM spooling protects the potential loss of valuable data and provides a standard for both equipment and host software to adhere to with ease. After several articles in the series discussing data collection, events, alarms, recipe management and documentation, this post focuses on the Twitter of the GEM standard – Equipment Terminal Services. We will examine what terminal services are, why they are needed and the mechanics of how they work. Equipment Terminal Services allows the factory operators to exchange information with the host from their equipment workstations. The host can display information on the equipment’s display device. It also allows the operator of the equipment to send information to the host. The equipment must be capable of displaying information passed to it by the host for the operator’s attention. The host gets notified by the FDC software that the process module had an excursion that needs to be addressed. The host turns on an operator notification light on the light tower. The notification light needs to be accompanied by a reason that the light was illuminated. The host sends a terminal message saying that the FDC software detected an excursion and that the operator should address the issue. Along with the signal tower light, the terminal services notification is active on the tool. The operator sees and acknowledges the message. Optional: There are different ways to recover, but the operator could send a terminal message to the host after the issue is resolved. How Does Terminal Services Functionality Work? When the host sends a terminal message to the equipment, the equipment is required to display the message to the operator. The display must be able to show up to 160 characters (even more than can be sent in a single tweet using Twitter) but may display more than that. The equipment’s display device must have a mechanism for notifying the operator that a message was received and not yet recognized by the operator. The message continues to be displayed until the operator recognizes the message. The equipment must provide a method, such as a push button, for the operator to acknowledge the message. Message recognition by the operator results in a collection event that informs the host that the operator has received the information. The equipment application is not required to interpret the data sent from the host. It is solely information meant for the operator. If the host sends a new message is sent before the operator acknowledges a previous message, the new message overwrites the previous message. The host may clear unrecognized messages (including the indicator) by sending a zero-length message. The zero-length message is not considered an unrecognized message. The equipment must also allow the operator to send information entered from the operator’s equipment console to the host. S10F5 H->E (Optional) Host sends multi-block display message. If multi-block is not supported, the equipment responds with an S10F7 message that multi-block is not allowed. As the first article in this Features and Benefits of SECS/GEM series points out, the SECS/GEM standards define a standardized interface that may be used on any equipment. A GEM interface exposes an equipment's capabilities through status variables, data variables, collection events, alarms, data formats, error codes, SECS-II messages, and other optional GEM capabilities. 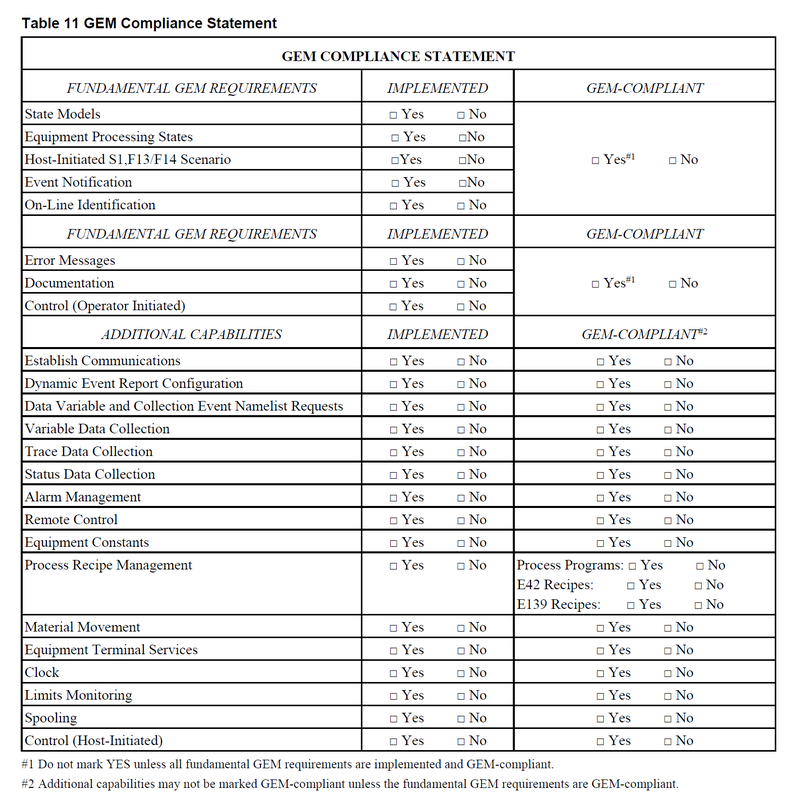 The GEM standard requires each equipment to come with documentation; ensuring a factory has the information it needs to use an equipment’s GEM interface. This documentation is commonly referred to as the GEM manual. The GEM manual may be distributed in many ways. 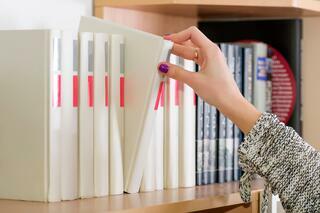 Currently, most GEM manuals are provided digitally in a Word, Excel, or PDF document. The vast amount of information in a GEM manual is used to make purchasing decisions, develop host software, and test equipment. 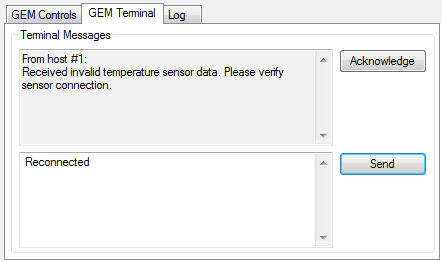 For a full GEM interface, the GEM manual must include the following topics: State Models, Scenarios, Data Collection, Alarm management, Remote Control, Equipment Constants, Process Recipe Management, Material Movement, Terminal Services, Error Messages, Clock, Spooling, Control, Supported SECS-II messages, GEM Compliance statement, and Data Item Formats. To keep this post a reasonable length, we will only cover a few of the required topics. The compliance statement is one of the first topics to be reviewed. It is a quick and easy way to understand the features of an equipment’s interface. The manufacturer is required to mark which GEM capabilities are implemented on the equipment, and if they are implemented in a way that is compliant with the GEM standard. State Models is a fundamental GEM capability, and is therefore implemented on every equipment. This capability defines the Communication, Control, and spooling behavior of the equipment. A processing state model must be provided. 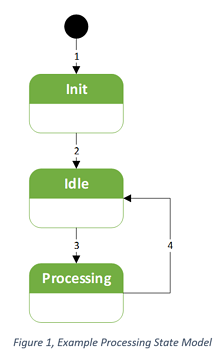 However, it is not possible to define a processing state machine that can be used on every equipment. The processing behaviors that should be the same for all equipment are specified by the standard. 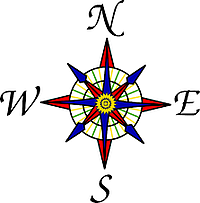 Each state model must be documented with a state model diagram, a transition table, and a text description of every state. The consistent and detailed information about each state model enables a factory to start writing a host application as soon as they have the GEM manual. Alarms, Collection Events, and Variables are large components in gathering data from an equipment. 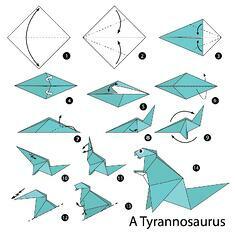 It should not be a surprise that these are required to be in the GEM manual. Each alarm on the equipment should have its ID, name, description, and associated Set/Clear events in the GEM manual. The documentation for each collection event should include the ID, name, description, and a list of associated variables. The documentation for all variables will include an ID, name, description, and the data type. Information about a variables default value or value range should also be provided when appropriate. Although not required, it is common to display all this information in five tables that are easy to find. There would be a single table for each of the following: alarms, collection events, equipment constants, data variables, and status variables. See the examples below. Once a factory can gather data from an equipment they start looking at how to control the equipment. Remote Control is the GEM capability that allows a host application to request an equipment to perform an action. Each remote command should be in the manual with its name, description, and details about each command parameter that may be sent with the command. The details of a command parameter should include the name, the format, and a description. An example is shown below. GEM manuals rarely come in a format that is easy to parse in software. This often results in duplicating code and making small changes in order to communicate with other equipment. SEMI E172 SECS Equipment Data Dictionary (SEDD) and E173 SECS Message Notation (SMN) are two standards that can drastically increase the flexibility and reusability of a host application. SEDD is an xml file that is easily distributed and parsed in software. SEDD can be considered a modernized GEM manual because it contains much of the same information that is found in a GEM manual. For example, a SEDD file contains details about every variable, collection event, alarm, and supported SECS-II message. A SEDD file uses SMN to represent the data items, variables, and SECS-II messages. SMN is also XML and is the first standard to define a notation for representing data items and SECS-II messages. This means a single application can read a SEDD file, have a short configuration process, and then immediately start using the GEM interface of an equipment. These features allow a single application to be used with multiple equipment instead of creating slightly different variants for each equipment. The GEM manual is a crucial piece of documentation that is required by the GEM standard to be provided with every equipment. The GEM Manual should be the first place to look for an answer when there is a question about an equipment’s GEM interface. SEMI continues to improve the content and flexibility of a GEM manual by updating existing standards and creating new standards.